My hunch is that this Interweb thingie is going to hang around. I’m prescient that way, always anticipating the next whim of the zeitgeist. In keeping with this unerring ability to keep two steps ahead of the wind (yes, I paid actual money to see The Happening), I hereby launch this here blog whatchamawhosit. Your life is now complete. … I was invited to write about Commissar Sebastian Yarrick. In the same way that writing a 1000-word short is both a pleasure (a thousand words? awesome! I’ll get that done by yesterday!) and a challenge (a thousand words? how do I tell a full story in so short a space? ), writing Yarrick was a privilege, and joy, and a responsibility. On the one hand, I get to write a story about freakin’ Yarrick! On the other… If readers don’t like how I portray certain characters in my novels where everything is of my own creation, that’s too bad, but they’re my characters. So what I choose to do with Jen Blaylock (and have her do) in that series is, in the final analysis, my call. But readers will have had an investment in Yarrick long before I showed up. So I do hope that my little piece here rings true to that incredibly rich character. My thinking went something like this. Firstly, in a story of this size, I obviously should stay away from the epic events of the Second and Third Wars of Armageddon. His imprisonment by Ghazghkull Thraka after the defeat on Golgotha is a smaller episode in his life, but still too big a tale for 1000 words. But then I thought there might be something worthwhile to say about what his life during his captivity. I also like Yarrick’s deep awareness of his own image. The orks think he has the evil eye? Fine, he replaces the eye he lost with a laser-firing implant. That is such a delicious conceit, one of which I am very much in awe, and the mechanics of it — Yarrick conforms to the distorting gaze of the Other by creating a lethal gaze in return, a lethal gaze very much feared/desired by the Other — are a Lacanian wonderland. Great stuff, and I’m still sorting out all the implications in my head. So my thought then, was to zero in on Yarrick’s gaze, and the power it has even without the implant, and try to touch, just a very little, on where that power comes from, and on the interlocking web of gazes (humans’, orks’, Yarrick’s, Ghazghkull’s). And I wanted a decapitation. So there we are. A few of the musings behind my small part in the Black Library’s anniversary event. If you check out the story, here’s hoping you enjoy it. Welcome to blogdom:). This’ll be fun! Great story! 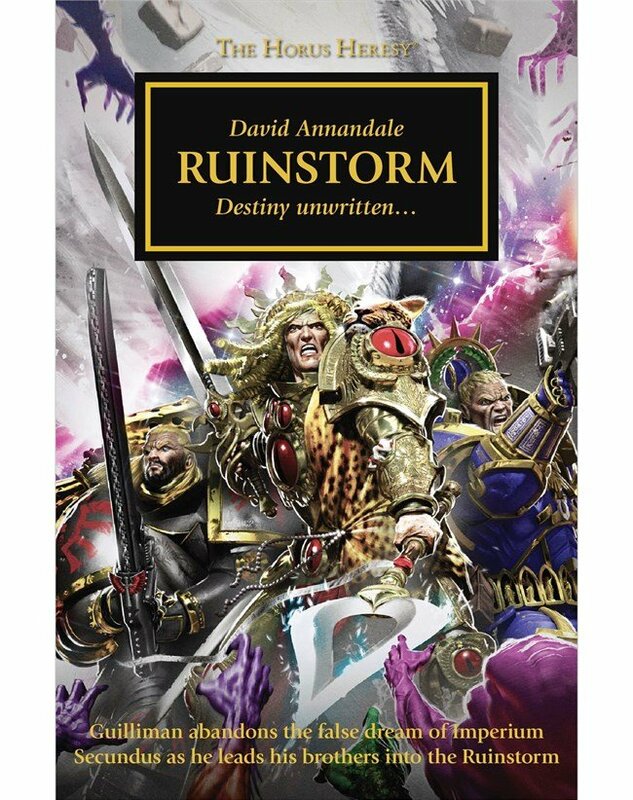 Looking forward to your next set of Warhammer 40K works. Thanks! So am I, when it comes to that. The story was truly a pleasure. I really would love to read more about Yarrick written by you. I especially enjoyed this sense of self-awareness that came with the first person perspective – that’s really the way to write about a grand character like Yarrick, if you ask me. I’d certainly put a Commissar Yarrick-trilogy on my wishlist. In fact, I already have it right on there. Thus, I shall tip my hat to you and hope for the best! Thanks for the kinds words and the support. Much appreciated! I’m especially glad the narrative voice worked for you.